Tuesday, November 1st, 2016 - Categories: Climbing, Events. 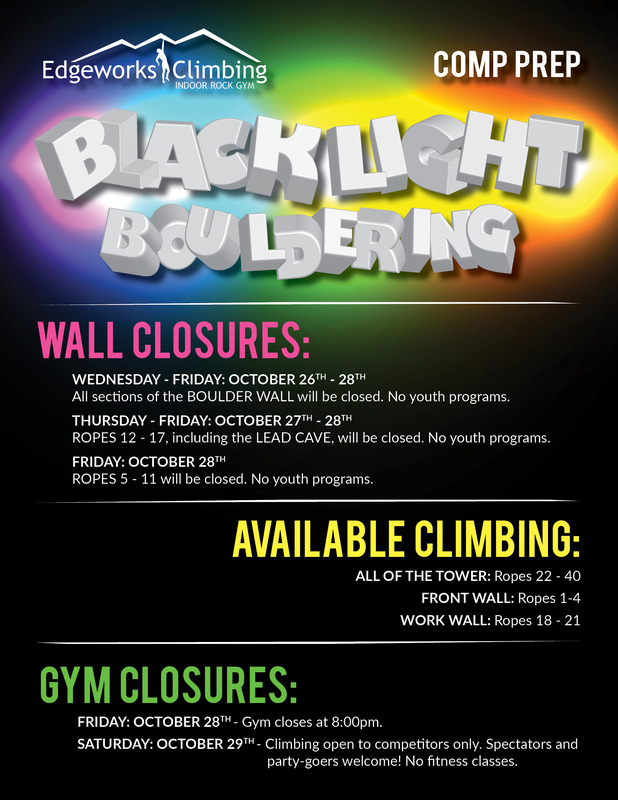 Here are the upcoming wall and gym closures as we prepare for the 12th annual Black Light Comp. Check the schedule and plan accordingly.